SET THE CONTROLS FOR KOZFEST! Bands have been announced for this year’s Kozfest. The festival, which has been growing since 2011, takes place at Uffculme in Mid Devon over the weekend of 27-29 July and leads the way in all things space-rock, psychedelic and psych-punk. 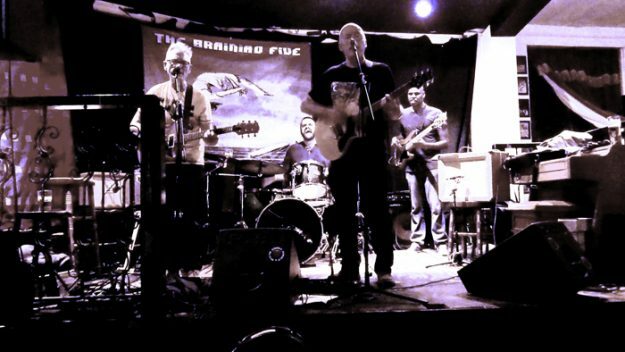 Acts booked for this year include, THE FIERCE AND THE DEAD, DEVIANT AMPS, THE BRAINIAC 5 (pictured), MAGICK BROTHERS, THE DIALS, THE INVISIBLE OPERA COMPANY OF TIBET, THE SKRAELINGS, THE CHUMLEY WARNER BROTHERS, FLUTATIOUS, ALPHA OMEGA, KRANKSCHAFT, BEASTFISH, NUKLI, LAPIS LAZULI, LACERTILIA, SKELETON GONG, TREVOR’S HEAD, JELLY, SENDELICA, SUMERIAN KYNGS, AURORA, SPACEDOGS, THE TELEPHONES and loads more. Tickets priced £95 (including booking fee) go on sale at 10.00am on Saturday 20 January. ‹ HOT RODS BOW OUT!